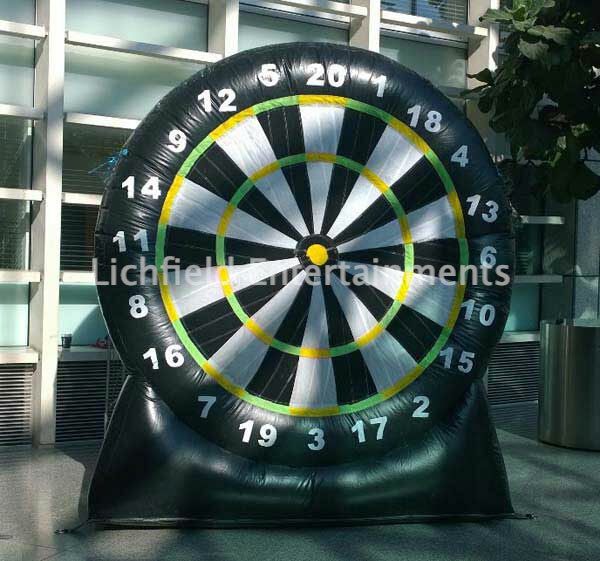 Our Giant Darts game pictured below features an inflatable 6ft diameter velcro covered dartboard together with velcro covered balls that are thrown at the board to score with. For our brilliant football version see below. 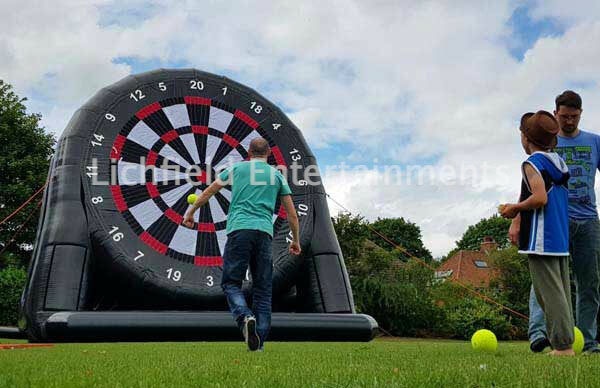 Our Giant Velcro Darts game brings the fun of the traditional game to your event on a giant scale and with velcro 'darts' its safe fun for all ages. This game is very popular for promotional events as well as fun days, office breakout time, etc. In addition to the above giant dart board, we have two larger inflatable dartboards, one 15ft tall and one 27ft tall for use with footballs that are kicked at the board. This game comes complete with staff to ensure its safe use. If you have any queries, questions, or would like to book the Giant Inflatable Dartboard or the Giant Kick n Stick games please click here to enquire and we will do all we can to help.